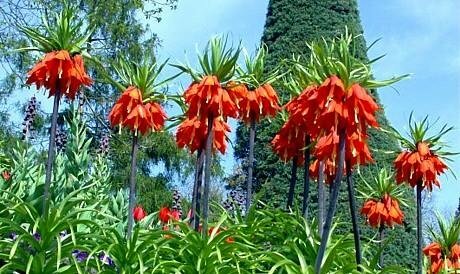 The Crown Imperial Lily - is undoubtedly one of my top 10 favorite bulbs, in fact I would go as far and say that it is one of my favorite flowering plants of all time! The flower heads are truly glorious and as far as I am concerned it well deserves its illustrious name. Native to a wide stretch from Anatolia, across the plateau of Iran to Afghanistan, Pakistan and the Himalayan foothills, numerous cultivars have been developed for garden use. 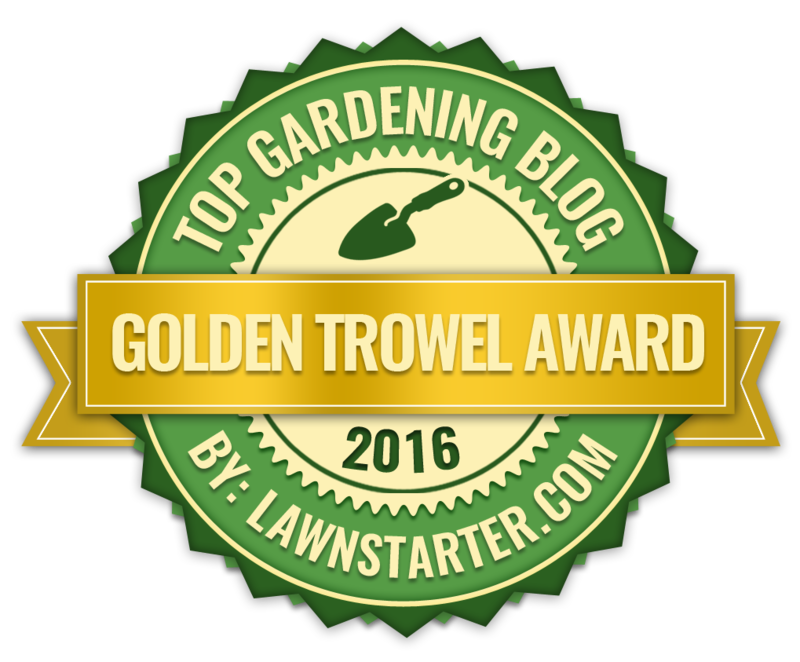 Perhaps the most popular is the yellow-flowered 'Maxima Lutea' which has gained the Royal Horticultural Society's Award of Garden Merit. 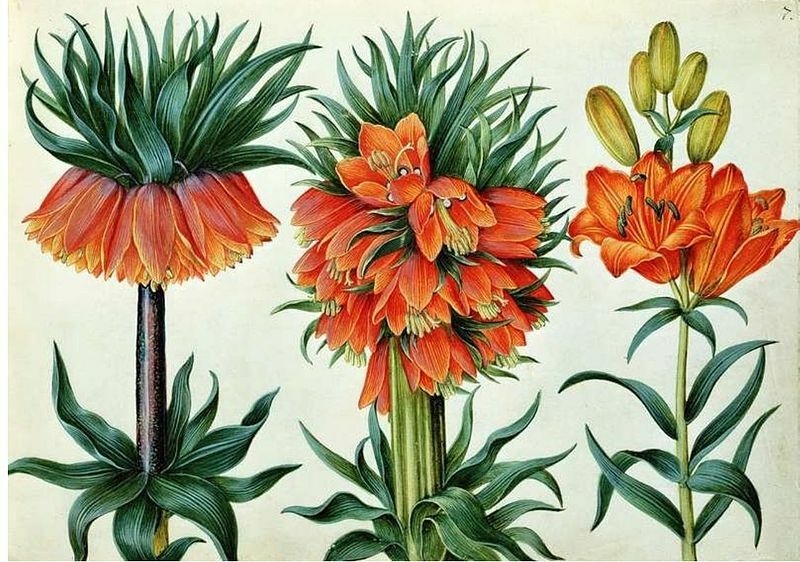 However, I prefer the seductive ember glows of Fritillaria imperialis 'Rubra'. 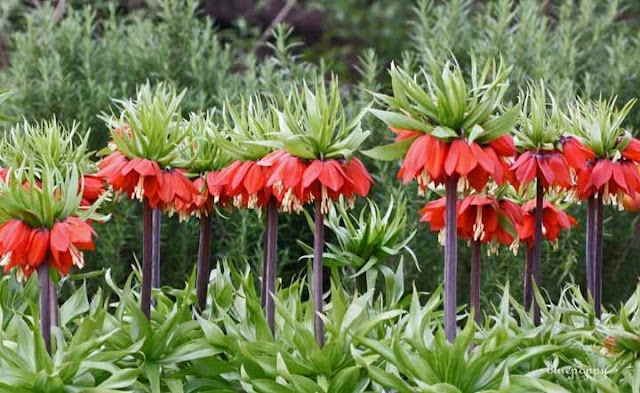 The Crown Imperial Lily will grow in any fertile, well drained soil, but is best left undisturbed once planted. They will do best in full sun, but will sit quite happily in partial shade. Crown Imperial Lily are usually purchased as bulbs, as as such will need to be handled carefully. They are composed of few fleshy scales and are intolerant to bruising or prolonged periods exposed to the air - a characteristic which I have discovered to my cost. Forget and sit them upright, and this can cause the bulbs to rot underground. This is an expensive mistake. Surround them with coarse sand to help drain excess water away, and once they are in the ground do not even think about lifting them for at least 4 years! You should see the first signs of life emerging halfway through March, with the bold, tulip-shaped flowers appearing in April on stems up to an impressive 3 ft tall!